This product from Chess Baron: Ebony pieces: The Revelation ll has been three years in the making from Phoenix chess systems in conjunction with DGT in The Netherlands. 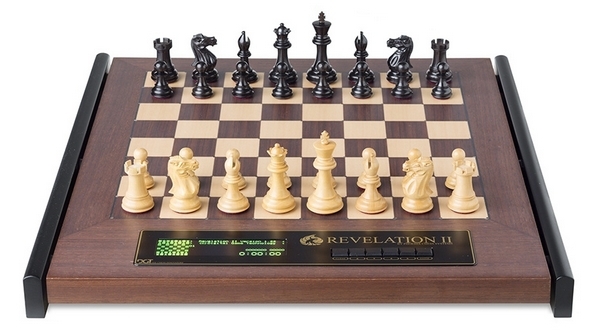 The result is a luxury suite of first class and world class chess computers - unequalled in quality and playing experience. The cabinet is made from rosewood, the pieces are made from various woods - all solid and with frequency signal identification in place for individual piece recognition.